‘Pois Tieltä!’ rents out sauna facilities for business events, team days, recreation days or as part of our conference services, at a stone’s throw from the metropolitan area. 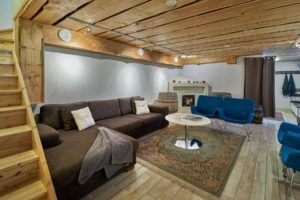 Only a bit more than half an hour’s drive from Helsinki, you’re in the middle of rural tranquility and you can make reservations to use the sauna facilities and a room with a fireplace, even for a large group. The Tonttula estate is the homebase and heart of the ‘Pois Tieltä’ company. The ground floor of the main building has been renovated with an old ambiance to feature beautiful 20-30 person sauna facilities. 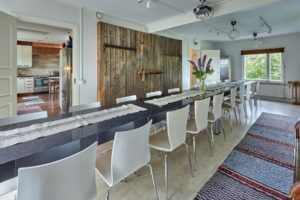 In addition to the sauna facilities, you can have catering services, as well as meeting rooms for 20-25 people and of course the memorable off-road safaris for your recreation day programme. The sauna is spacious. The sauna stove is in the middle, surrounded by the benches. 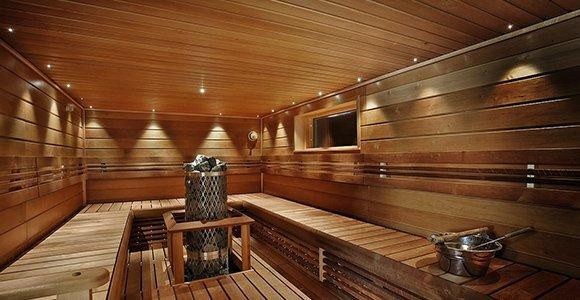 You can start or conclude your meeting in the sauna or just bathe to relax. The shower rooms have three showers and a separate toilet. The downstairs can be divided into women’s and men’s dressing rooms with curtains. On each side there is plenty of space to dress and a mirror. A cozy fireplace room is ideal for cooling down after sauna or for longer evening gatherings. You can book dinner together with your sauna reservation. Experienced chef Mikko Artjoki from Hiidenveden pitomestarit plans and provides the menu options for your occasion. Have a look at these example menus, from which you can choose or start building an offering that suits your own occasion. At the end of an invigorating day of driving or after a recreation day, the codger menu tends to go down rather well and is equally appreciated by women. ‘Pois Tieltä’ tailors your sauna evening just for you.